I am a highly nervous person. I have panic attacks (largely in remission thankfully), I have bouts of insomnia, and I also like to sit around and think negative thoughts. However, despite these handicaps I managed a 173 on the LSAT. While that may not be as good as my co-blogger Josh’s score, it got me in to the same school on the same scholarship- half-tuition. Being unstressed is critical to doing your best on the LSAT. As a psychiatrist once informed me, high anxiety and complex cognitive thought processes are mutually exclusive mental tasks: you can’t be doing your best thinking (or learning) when you are freaking out. So how did I manage to chill and hit pretty close to my practice average on the day of the LSAT? Here are my best tips to relax and de-stress before the LSAT. 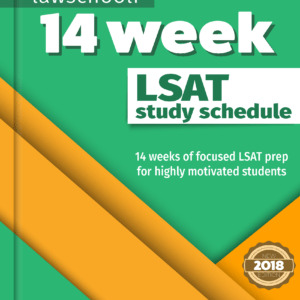 Remember that the general idea of low-stress LSAT prep is that you want to be doing everything right so that you don’t have to worry whether you are giving it your best shot. 1. Stop Drinking Before the LSAT!!! I put this one first because it might be the most important. The effects of alcohol on the learning brain aside, it is well documented that alcohol tends to cause serious anxiety. It’s often several days after a night of heavy partying before this spike in anxiety fully subsides. I know this varies from person to person, but trust me, you’ll feel less stressed out the longer you refrain from partying before the LSAT. You will be fine having a few drinks here and there, but I still recommend you go full teetotaler for a couple of months before hands. It was the only time before and the only time since that I have stopped going out, but it felt great and really helped reduce any anxiety I had about the test. I know many LSATers will be in their last semester of college when they are prepping for the test and will not take this advice, but please consider it (At least stop partying hard once graduation is over). Not drinking for a while is especially important if you are on anti-anxiety medications such as SSRIs, as many of these drugs lose a good deal of efficacy when you consume alcohol. Even if you are reading this just a few weeks before taking the LSAT, refrain from going out the next couple of weekends. I know that stress often makes people want to go out and forget life for a while, but trust me that you are better off using the other techniques described below. I realize that much of this advice is just stuff we all should be doing most of the time anyway, but it’s especially critical to do some strenuous physical activity when you are studying. For me, it helped me sleep better, have more energy when I went to study, and destress. While I was studying I played tennis every day that I could with my brother. Even though I was working full time, I felt the hour or so spent doing this was way more worth it then an extra hour of studying (I think 2-3 hours a day is the most you really want to do on the LSAT anyways, maybe a little more on the weekends). I’d highly recommend doing something that is fully engaging like tennis, dance, racquetball, or ultimate frisbee. While I recognize that running on a treadmill is great exercise, I find I am not fully tuning out other stuff when I run or lift weights. It’s damn hard when playing competitive sports to be thinking about anything besides what you are doing at that moment, which is great relief for your brain. Obviously this isn’t ideal. Many people have limited time off and would prefer to spend it doing something more fun than rounding out your study. While It would be way more fun to take vacation and relax after the LSAT, I recommend taking at least a week off before. This is a great time to wind down and make sure that when you aren’t studying you are doing non-stressful stuff like the aforementioned sports, spending time with friends, and watching movies. Because LSAT study usually only takes a part of your day, you may actually find that it isn’t a horrible vacation. I went fly fishing a lot. Another reason this is critical is best to get used to taking the test at the time of day that you will be taking it. I hate LSAC for scheduling the test in the morning, but I had to accept it and start doing prep-tests at that time a couple weeks before the test so I knew I could be alert and focused at that time. If you can schedule your test near your parents home and stay with them the week before. Force them to cook all meals. Only do this if your parents don’t cause you excessive stress. I know lot of lucky people didn’t have to work at all during their LSAT study. If you have the ability to do this and are considering, let me say I actually think that’s not ideal. It’s best if the LSAT is only heavily on your mind when you have focused and are sitting down to study for it. A job, so long as it’s only about 40 hours a week and not too stressful, should not interfere with LSAT study. This brings me to my next thing. I was tutored for the LSAT in New York City before law school. Most of my clients would rush out of their mid-town office jobs around 7pm and meet me looking harassed and tired. I think most were only half able to focus on prep questions under these conditions. If there is any way to reduce your workload to around 40 hours a week while you study for the LSAT, do it. What I am trying to get across with this advice is that the LSAT is serious business that can affect your whole future. If you really want to maximize your score, you can’t be too stressed out and tired to focus on LSAT study. To help my own study, I actually left my New York job and took a job near my home in New Hampshire, working a no-overtime job at a rehabilitation center. It was rewarding work that kept me on my feet all day and left me with the mental energy to study. I recognize that big changes won’t be possible for a large percentage of law school aspirants. However, do you what you can to manage work stress for the LSAT. 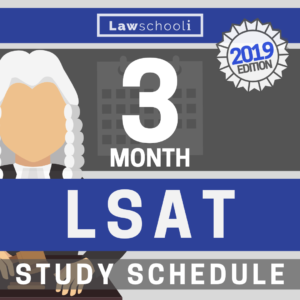 If you are serious about going to law school, it is usually worth making the LSAT somewhat of a priority for at least a month. An obvious tip, but I want to stress I don’t think LSAT study should ever be coming out of your sleeping hours. For the people who truly have trouble with sleep and may need a sleep aid as the test approaches, make sure you know how it affects you and you have taken practice tests successfully on days following the use of the medication. You will be less stressed when you feel good, so eating right helps. I know it’s overkill, but I had what I was going to eat test day picked out because I knew those foods wouldn’t give me a hard time. In my defense, the LSAT was the only thing in my life that I ever approached this methodically, but it was worth it. When I was tutoring, I counseled all my LSAT students to be just as methodical. If possible, take a trip to your LSAT testing location during the final week before the exam. Know what route you are going to take so you don’t end up late or lost. Go see what the actual testing room looks like so you don’t encounter any unpleasant surprises. I found out that my room had tiny desks, so I was ready for it. I think this would have really bothered me on test day if I didn’t know it going in. If you can do timed preptest by yourself at the testing location, do so. Knowing what to expect beforehand will really reduce your stress on the day of. 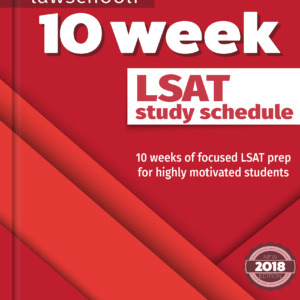 Now we are getting down to the little stuff: By your last day you have done what you can and it’s time to cool down and keep your mind off the LSAT to the extent possible. I don’t remember much about the day before except that I watched the movie North by Northwest that night and fell asleep quickly thereafter. I was pleasantly surprised to have gotten such a good nights sleep and showed up at the test center feeling about as good as possible. I think I can credit this to all the steps I had taken to de-stress and relax in those prior few months. It is unlikely that every thing will operate as smoothly as you hope. Be ready for that and don’t let it bother you. I’m usually a pretty social person, but I think that generally most of the test taking rabble are going to be stressed out and it will only freak you out to talk to them. At the time I was a smoker so during the break I just took a quick walk away from everyone a let my mind wander a bit. Again, a parent is ideal. Driving is stressful and takes mental energy, so unless the test center is down the street, have someone else take you. Also, I had a really big martini at the nearest bar I could find post test, and might not have been so good to drive after. No matter how well you managed to avoid stress coming up to the test, you are going to feel a major sense of relief when you finish. It’s good to have someone to share that with. Previous ArticleHow Do Law Schools Consider Multiple LSAT Scores? Next Article Is a J.D. a Doctorate? I’m going to take the LSAT next year in june. I want to have a 6 months preparation because i will be working a full-time job and english isn’t my native language. Thanks for your advice and yes, panic attacks are real. Thanks for the foreshadowing.. helps so much! Really appreciate your honesty, Evan, about your panic attacks, insomnia and negative thoughts. These are great tips for reducing stress before the LSAT. I’m forwarding your article to all my students and clients. Thank you! thanks sooo much!!! They are really great, realistic tips!